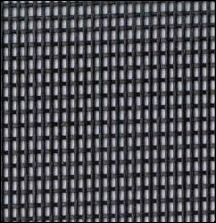 Pet Screen Sold by the Linear Foot. Order Just the Amount You Need. Ultra strong screening resists tears and damage by dogs and cats yet still offers superb outward visibility. Ideal for areas where children or pets push against the screen. Advantages: Custom order reduces having to buy excess. Inventory on hand for hurricane repair when local purchase not available. Great product. Looks great and rambunctious cat took one pass and walked away. Advantages: Good substitute for previous aluminum screening. This pet screen is fantastic. It was easy to put on and I filters the sun coming in from the west so nicely we don't need to have the glass tinted! Our dogs seem to like it too! Great buy! Thanks! Advantages: Keeps the sun and heat out and keeps my dogs in! Disadvantages: When installing the new spline, you must put a little more pressure on it than with metal screen, but holds really good! I am making a kitty porch and using this to enclose it. Strong but still transparent. Worth every penny! 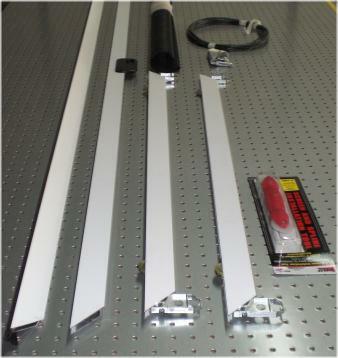 I have a tall screen door and checked all the hardware stores and couldn't find pet screen material in length I needed. Discovered Quality Screen on-line. Great find. Advantages: Can order the length an width you want at a reasonable price. Screening material is strong a appears to be very durable. Did the rescreening myself, and like the results. Glad we ordered this product. It fits out need.